The Jim Dunlop 418P Tortex Standard picks are used by top musicians worldwide. Tortex picks are carefully designed and manufactured to give the characteristic maximum memory and minimum wear that made original tortoise shell famous. Sowieso mijn favoriete pluctrum aller tijden! Hij is lekker stevig om snel mee te soleren, maar ook nog net soepel genoeg om zwoele akkoorden mee te spelen. Deze gaan dan ook een levenstijd mee! Het logo is er jammer genoeg wel zeer rap af..
Dit is ook Matthew Bellamys keuze in plectrum! These picks are amazing. They last for a long time and feel great in the hand/fingers. I highly recommend them. 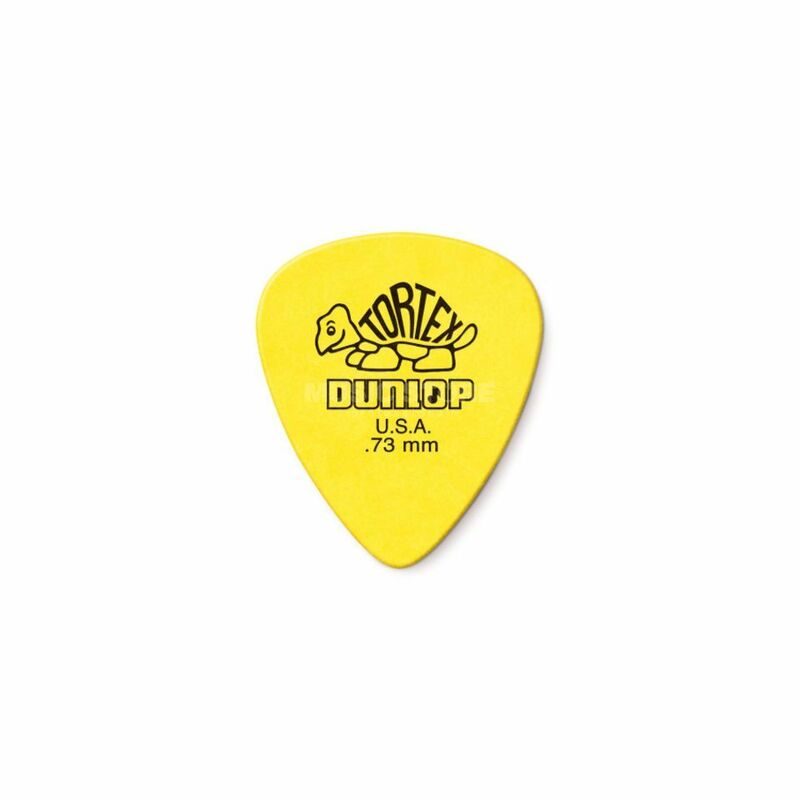 for me dunlop tortex is the best guitar pick.It gives you a good feeling when you're holding it. Have used tortex picks for a long time. These do a great job for my playing style. Excellent colour and great feel! The only thing I would Improve on these picks is the durability of the printed ink. With one to two days of use, the logo started to come off really fast. But for the price, you cant ask for much more than this.